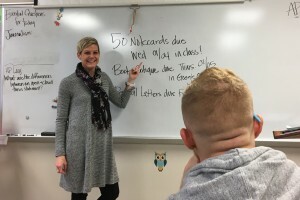 A 2015 finalist for Pennsylvania Teacher of the Year, Emily Dickey ’00 is making an impact on Waynesboro Area Senior High School students. Dickey, who graduated from LVC with a degree in English, teaches AP Language and Composition, Journalism, and Broadcast Journalism. Recognizing her role in mentoring young students, Dickey cites Dr. Gary Grieve-Carlson, professor of English, as one of her education role models. 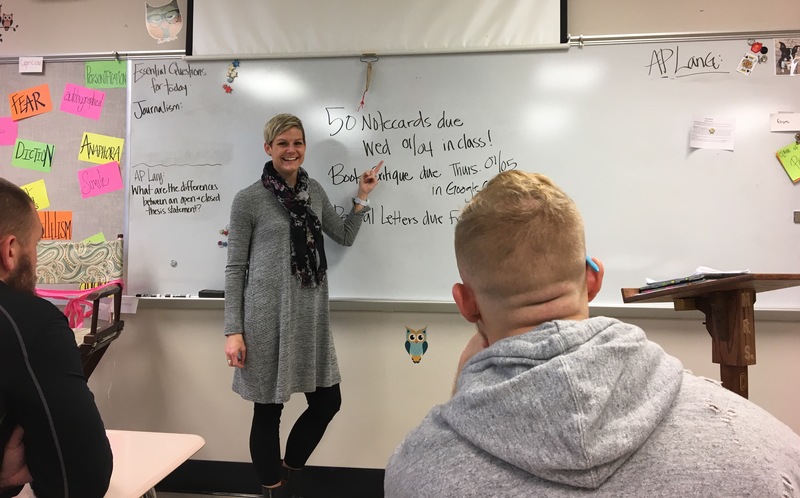 “When I teach my AP Language and Composition students, I find myself conducting class as I remember him doing it—with an openness and acceptance for all who enter,” she said. Dickey cites LVC’s English program as well-rounded and challenging, which helped her improve as a writer, reader, listener, and speaker. Along with developing her professional skills, Dickey participated in several of the almost 100 student activities at LVC. She performed in Wig and Buckle Theater productions, wrote for the campus newspaper, La Vie, and joined a sorority.